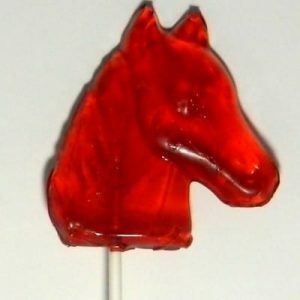 Horse Sucker comes in five different great flavors . This sucker is larger than our round or bear suckers. Flavors are huckleberry, cherry, root beer, orange or butterscotch. Weight is 1.6 oz..